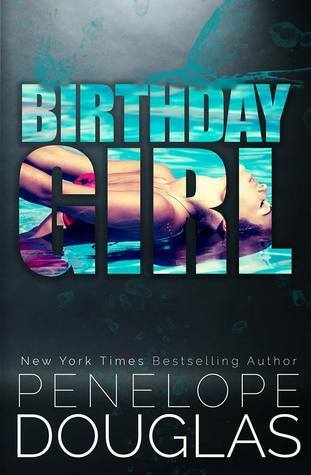 I was not sure if I was going to like Birthday Girl. I have devoured every book that I’ve read from this author, but a story about a 19 year old and her boyfriend’s father? It sounds a bit skeevy. Not to mention, it’s her boyfriend’s father. I HATE cheating in books. It’s like my #1 buzzkill. However, the author did an amazing job with this story. There is no cheating. These two dance around each other, get comfortable with each other, and think the other is attractive, but they both stay in their lane. They are there for the other person, but keep it on a friendly basis. Not to mention that these two meet randomly one night on Jordan’s birthday. She decides to go to a late-night showing of a movie when her boyfriend is not returning her calls to come and pick her up from work, and that’s where she meets Pike. Just a random guy who helps her find her cell phone when she drops it and wishes her a happy birthday when he realizes what the day symbolizes for her. So, again, it wasn’t like Pike’s son moved in with his girlfriend and he started finding himself attracted to her, and vise verse, these two already met prior to their current circumstance. Now, I know this doesn’t justify Jordan always being aware of Pike, but her boyfriend was a jerk. Like, never around, unreliable, more worried about going out and partying with his friends than hanging out with her… and she’s living in his estranged father’s house because he got them evicted from their apartment. So, when they split ways halfway though the story because, again, her boyfriend is stupid and didn’t realize how much of a catch Jordan was, I was not sad to see him go. Jordan was an amazing character who is loyal. She stuck by Cole, her boyfriend, because they both went through a loss together and they needed each other. Even when the distance between them starts growing, she still stands by his side. When she’s living in Pike’s house, she cooks dinner, cleans, and even does the manual yard work that Cole is supposed to do, but never does himself. She snuck vanilla and cinnamon in Pike’s coffee to make it a little special, she baked muffins, she was just always appreciative to Pike and grateful for what she had, and she showed it by doing little things around the house. Pike was a stand up guy. He hooked up with a girl when he was a teenager and got her pregnant. That women turned out to be a manipulating lying sack of poo, and they fought over custody of Cole. Of course, the judge sided with the mother and pretty soon Pike saw his son being turned against him. He’s lived a solitary life since and pretty much spends all of his time on build sites for his construction company. He’s very protective of those around him, and even when he first met Jordan, he found himself gravitating towards her. When she tells him it’s her birthday and shows him her doughnuts, he strikes a match to hold inside one of the doughnut so that she has a “candle” to blow out on her birthday. He was just a super sweet, quiet guy. Obviously, things get a little steamy once Jordan becomes single again. Her ex-boyfriend starts staying at his new girlfriend’s house, and she continues to live with Pike and helps pay some of the bills. You see their relationship start to shift and once they finally decide to give in, let’s just say it was HOT! Of course, there’s another climatic part in the second half of the book because she’s now dating her ex’s father, which is weird all on it’s own. There was just so much taboo going on that I was just soaking it all up. It was awesome! If you haven’t guessed by now, I REALLY enjoyed this story. I loved that the story wasn’t an easy one. It was a little weird, a little awkward, and a yet absolutely perfect. If these two had met randomly on the street, their romance would be a beautiful thing. However, the whole dynamics of the relationship and how these two are connected made for some really interesting reading. I can see myself enjoying this one. Sounds really good. Sounds like there are some interesting dynamics for sure with her falling in love with the father of her boyfriend/ex. It sounds like the author handled the whole thing well and that’s good to know that there is no cheating. And I like a bit awkwardness in books, it makes it all feel more realistic, which I like. Great review! I would never, ever give this book a shot if it wasn’t for your review lol The whole premise sounds very squicky but it seems like the author wrote it well. Great review!